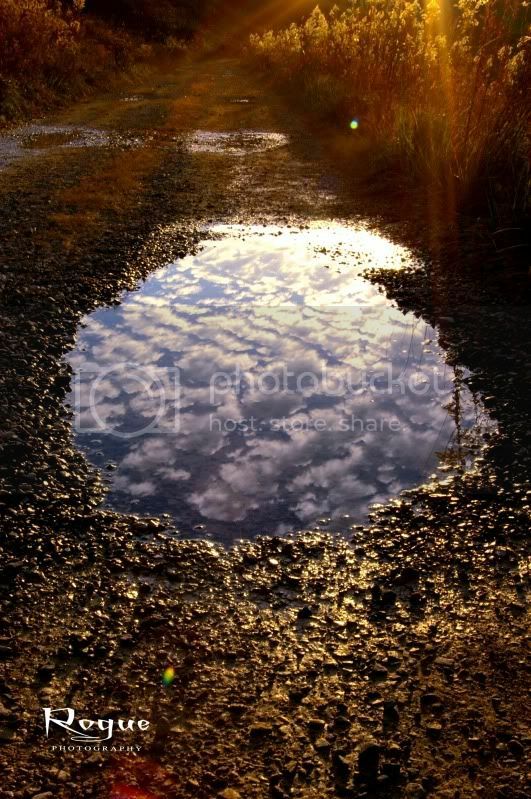 It's been unseasonably warm here lately, so I decide to take a hike on a nearby public WMA and spoted this puddle that had the whole sky in it, lol. Fun contrast between the warm and cool tones! Nicely done!